Every system relies on pivotal components, parts that carry a heavy responsibility. 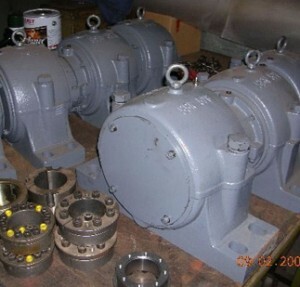 In the case of conveyor assemblies, pulleys merit this critical place of prominence, and, ensuring the drum and shaft rotate as they should, the bearings in conveyor pulleys regulate the radial characteristics of the drive system. In fact, on tracing this train of rotating force, the bearings are responsible for just how smoothly the conveyor functions. Chaotic forces push conveyor pulleys to their limits. Even light products, ones that exert little weight on a drive belt, they still present challenges due to the processing environment. The belt starts and stops, causing fastening mechanisms to loosen and housings to rotate ever so slightly. The jerky motion introduces thrust forces, side impacting movement that introduces added friction to the hub of the pulley drum. The twin races and concentrically arranged bearings must offset these shearing forces while seamlessly maintaining fluid axial momentum. It’s simply imperative that these forces, transient or uniform, have no effect on the linear properties of the conveyor belt. Belt speed and load capacity carry unavoidable repercussions. The belt is reinforced with steel thread to cope with the weight component. Meanwhile, drums and shafts thicken or adopt extra cladding to offset wear-and-tear. And so bearings must also adapt. Inserted in their roller tubes and fastened between shafts and bearing housings, the lubricated friction handlers assume alternative profiles, with plain bearings being one example. Unfortunately, this form of friction management has several disadvantages, one being poor startup characteristics. Instead, for heavy duty applications and improved starting, roller bearings are the preferred choice. And, chief among these bearings in conveyor pulleys, ball bearings dominate the industry. On selecting a definitive shaft-to-housing partner, the spherical components must function in tandem without incurring losses. Any energy lost to poorly functioning bearings will be expressed as heat and noise, a squealing, smoking threat to the smooth linear progression of the conveyor belt. Seals are thus the second part of the bearings in conveyor pulleys scenario, a beyond essential auxiliary component that protects delicate rotating parts. Remember, even though bearings are heat treated and manufactured in accordance with robust loading standards, they’re still susceptible to contaminants. Water will introduce corrosive powdery deposits. Coal mines and flour processing facilities have a similar problem, as they produce clouds of contaminating particles. Address the pulley bearing issue by incorporating heat treated ball bearings, circular rings that incorporate seals and an oil lubricant, though a grease-packed lubricant will perform better when temperatures are high and speed is required from the conveyor system.